The owner of the property was really nice. She was always ready to help and gave us warm welcome with coffee and fruits. Our room was always kept pristine with new towels every day. As far as the service goes, this was the best service I've experienced so far in this type of accommodation. The list is infinite... I'll start from Eleni, the owner, who is a sweet and kind lady, always around with a big smile, ready to help with anything you may need, and waiting with home made food around the corner. A former professional hairdresser, she went beyond all expectations and fixed my hair for a wedding as a gift. We were swamped with clean towels every day, the bed sheets were changed every other day, room was cleaned daily - many overpriced hotels cannot come near to the service we experienced! The apartment was beautifully decorated, had everything we needed, kitchen was well equipped and we had enough space to feel comfortable. The yard is surrounded with tremendous amount of plants and flowers, again wonderfully decorated! We cannot thank Eleni enough for everything she did for us! Hostess was very friendly and helpful, property was very clean, comfortable and excellent value for money, we would highly recommend the property and go back in a heartbeat. We stayed at Home Suites for almost 3 weeks. 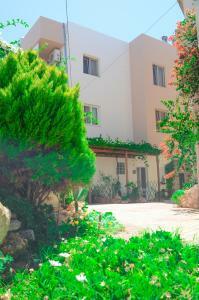 The appartments are situated in the middle of a beautiful and very peaceful Analipsi village. Eleni, our host was incredibly kind and helpful. She made our beds and cleaned our apartment on a daily basis and even cooked for us some delicious meals. Also, she was kind enough to take us for a tour of the island(the highlight was a visit to the monastery). This is an excellent place to stay. The host is really wonderful and fulfilled anything I needed. It was in a very quiet part of town and close to restaurants and shops. It was also within walking distance to the beach. The lady was extremely helpful and friendly and nothing was too much trouble. Plenty wardrobe space. Cleaned every day. Good location. Stayed in the one bed deluxe suite on the 3rd floor. 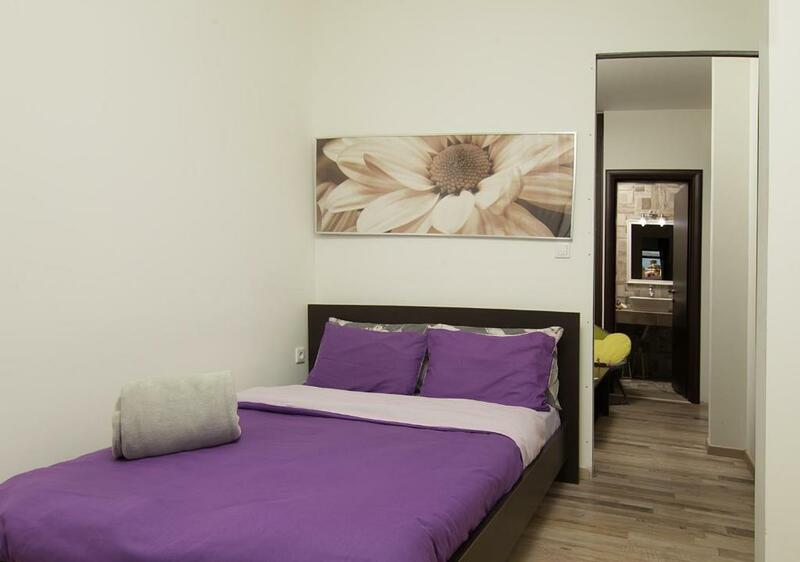 Very comfortable apartment on the edge of a lovely village with a few good restaurants & bars. The kitchen/diner looked out over olive groves and mountains. 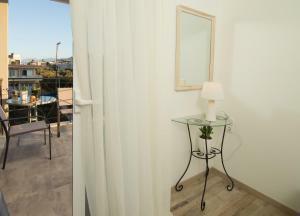 The outdoor terrace was beautifully furnished & private. Set in the lovely Eleni’s pretty gardens, I would definitely recommend for couples or families alike It is a short walk to beaches and main road for buses. The owner Eleni is a very lovely lady. She is always helpful and tries to improve the service. We felt like at home. Eleni exceeded our expectations. Totally recommend! The hosts, Elena and Constantine were extremely welcoming and made our stay very comforting. Elena would make us some traditional Greek cuisines which were very lovely. Lock in a great price for Home Suites – rated 9.2 by recent guests! One of our top picks in Hersonissos.Set amid lush greenery, within 1,650 feet from Analipsis Beach in Northern Crete, Home Suites offers self-catering accommodations with free WiFi and views over the garden and the mountain. Tavernas, bars and mini markets are round the corner. Opening to furnished balconies, the apartments of Home Suites have a seating area and a well-equipped kitchenette or kitchen with dining area. Facilities include a TV, a fan, a fridge and a coffee machine. 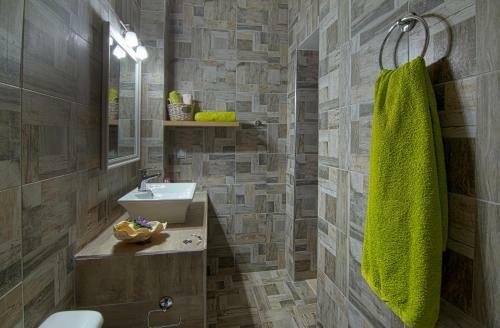 The private bathroom comes with shower or bath tub and hairdryer. Heraklion Town and Port lie within 12 mi from the property, while Nikos Kazantzakis International Airport is also at a distance of 12 mi. Hersonissos Town is 3.1 mi away. The seaside Stalida is 5.6 mi away and the lively Malia is at a distance of 7.5 mi. Free public parking can be found nearby. When would you like to stay at Home Suites? This apartment features a dining area, electric kettle and soundproofing. This suite features a electric kettle, sofa and kitchenware. 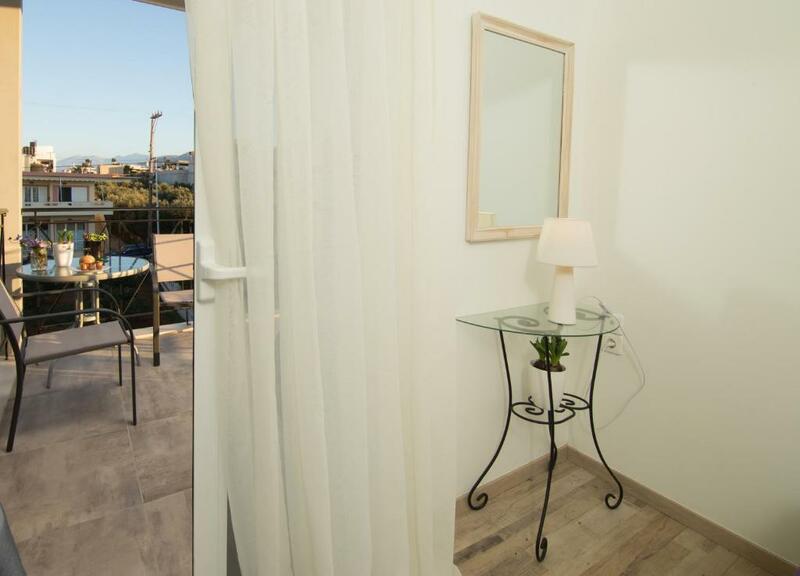 Situated on the small Village of Analipsis, Home Suites Apartments is centrally located among tavernas, supermarket and shops which are within walking distance. The property enjoys a peaceful position within walking distance to the beach and is the perfect accommodation for couples, families or small group of young people looking for a varied holiday experience. 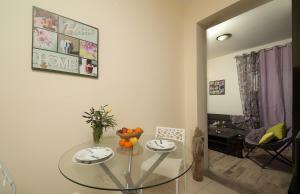 Home Suites apartments is a family run complex with a homely atmosphere. They are owned and managed by Eleni and her family, who is making sure that everything will run smoothly. Elena and the management will be next to you for any help you might need regarding your stay. 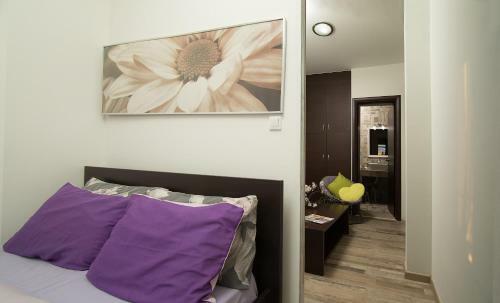 Located 18 km away from Kazantzakis International Airport and 20 km of Heraklion port. The cosmopolitan resort of Hersonissos is 4 km away, Stalis 8 km and Malia lively resort 10 km. The sandy beach of Anissaras is 550 meters away and is an excellent choice for swimming and relaxing. House Rules Home Suites takes special requests – add in the next step! Home Suites accepts these cards and reserves the right to temporarily hold an amount prior to arrival. Please note that air conditioning is charged extra 6€ per day. Please note that safety deposit box is charged extra 2€ per day. Please note that children up to 2 years old are accommodated free of charge in a baby cot. Older children are charged are adults. Be lacking dishes and utensils for the kitchen) Some gaps of general maintenance. The bed wasn't very comfortable and the Wi-Fi weak. When I initially booked, I didn’t realise I had a smoking room until about a week before we were due. I Emailed to change it but when we arrived, the room we got was different and seemed smaller. If this had been explained on booking I would have stuck with the smoking room as was charged the same price. Air conditioning only in bedroom. There was a lovely courtyard garden but it wasn’t clear if we were allowed to sit there. The hostess was very friendly and welcoming. If I need to say something negative, my only criticism would be on the room equipment. We had all the necessary furniture, it was just a bit basic. We didn't have a TV in the room for example. 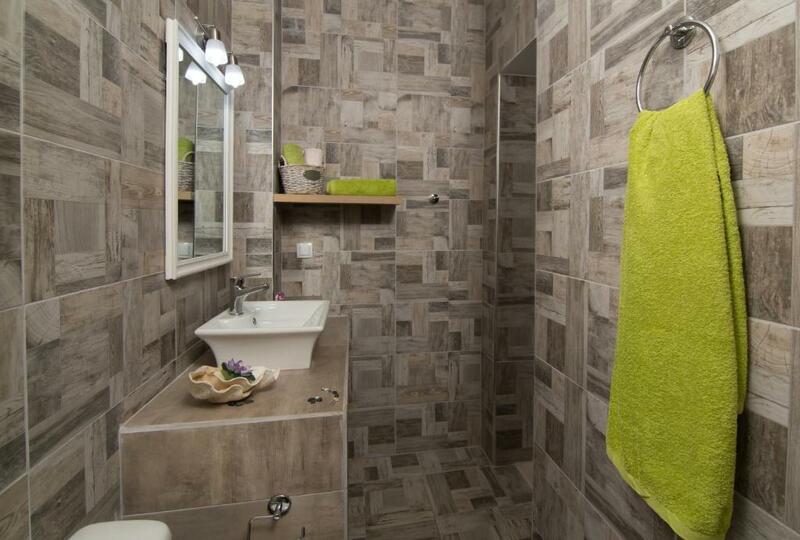 A minor "flaw" was the bathroom that could use some renovation and some additional shelves, but it was still spotless clean and had everything functioning. The host, Mrs. Eleni is an extraordinary person, all our requests were met to the max, plus she does it with a big smile on her face!!! She made sure all of us were very comfortable during our stay. Congratulations!!! Would definitely visit again in the near future. The lady who is the owner was so lovely and helpful.The apartament is located very close to the sea,contains very pleasant balcony.